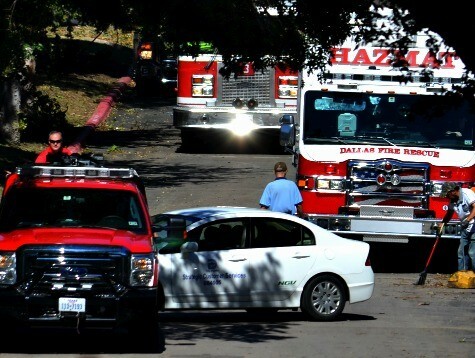 DALLAS,Texas — Dallas Fire and Rescue truck arrived at the scene of the Ebola exposed apartment. Officials stated they are staging in preparation for the arrival of the hazmat contractor who is expected to begin cleaning the apartment later today. 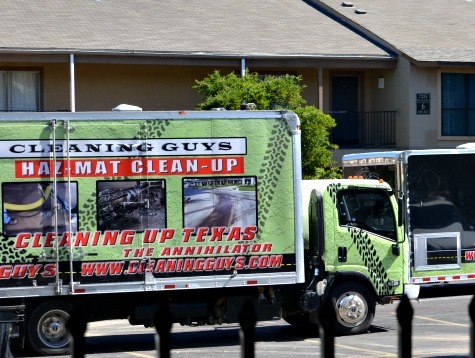 The Clean Guys Environmental hazard removal cleaning crew are beginning to arrive on the scene.It is not known at this time, when the actual cleanup will begin or how long it will take. Breitbart Texas spoke with one of the supervisors last night who expressed total confidence in their ability to safely and completely clean the apartment. At that time, it was anticipated that approval of the cleaning plan could take up to 24-48 hours. It appears the approval process was expedited. At this time, no one has entered the apartment to begin the cleaning process.